Plumbing is more than just water. We are also gas line experts. 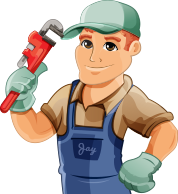 A Better Way Plumbing and Heating can help with gas line leak detection, repairs and new installation. Whether you you’re converting to a new gas stove, need a gas barbecue hookup or a tankless water heater, we have you covered.